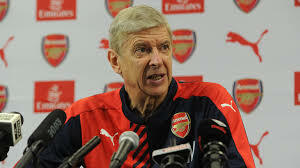 Arsene Wenger officially announces resignation as Arsenal manager – Royal Times of Nigeria. Arsenal manager, Arsene Wenger has confirmed that he will be resigning from his position at the end of the season, bringing an end to his 22 years in charge of the club. Wenger still has one year left on the new contract he signed at the end of last season, but has chosen now as the ‘right time’ to walk away from the Gunners. Having enjoyed success in charge of Monaco in the late 1980s and early 1990s, Wenger arrived in north London in the autumn of 1996 following a brief spell in Japan. A statement from the Frenchman read, “After careful consideration and following discussions with the club, I feel it is the right time for me to step down at the end of the season. I am grateful for having had the privilege to serve the club for so many memorable years”.